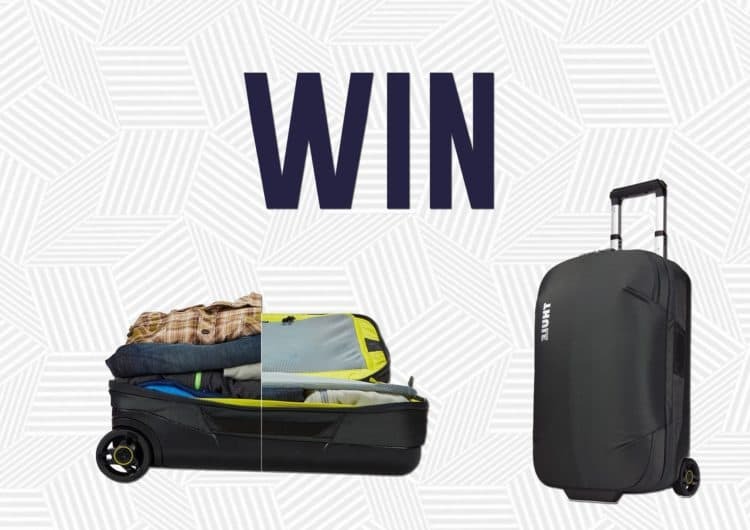 Fancy winning a Thule Subterra carry-on case worth £215? Well, thanks to our good friends at Thule you can! This sleek, durable 2-wheel carry-on, comes complete with a compression panel to maximize packing space and minimize wrinkling. Pack more. Separate clean from dirty or keep clothes in place thanks to the internal compression panel. Smooth and easy transport with tough, oversized wheels and V-Tubing telescoping handles. Effortless travel thanks to the piggyback strap attachment loop that allows an additional bag to be hooked on. Bag design absorbs the impact of travel due to the durable exoskeleton and moulded polycarbonate back panel. Smooth lifting and rearranging in overhead bins with top, side and bottom grab handles. Protects contents from the elements with durable, water-resistant materials. Quick access to keys, wallet and smaller items through zippered mesh pocket. All you have to do to be in with a chance of winning is ‘LIKE’ The MALESTROM HQ & ‘SHARE’ the pinned competition post. Prize is one Thule Subterra carry-on case. Entries will be chosen at random. Competition ends at 23.59 pm, October 21st, 2018. The winner will be informed on October 22nd, 2018. If no response from the selected winner within 3 working days another winner will be selected at random and informed.